Miss Universe Spain (Miss España Tierra) is one of the most renowned national contests of the Spain. It is held annually to select the representative of the country at the prestigious Big 4 beauty pageant, the Miss Universe. Desiree Cordero was crowned as the Miss Universe Spain 2014 at the conclusion of the finals of the pageant held on on October 28’ 2014 at the theatre Bodevil Madrid by Patricia Yurrena Rodriguez, the Miss Universe Spain 2013 and the first runner-up at Miss Universe 2013, from amongst 14 other contestants. She went on to represent Spain at the Miss Universe 2014 pageant which was held in Doral, USA, on January 25' 2015 and made it to the top 10 Finalists. 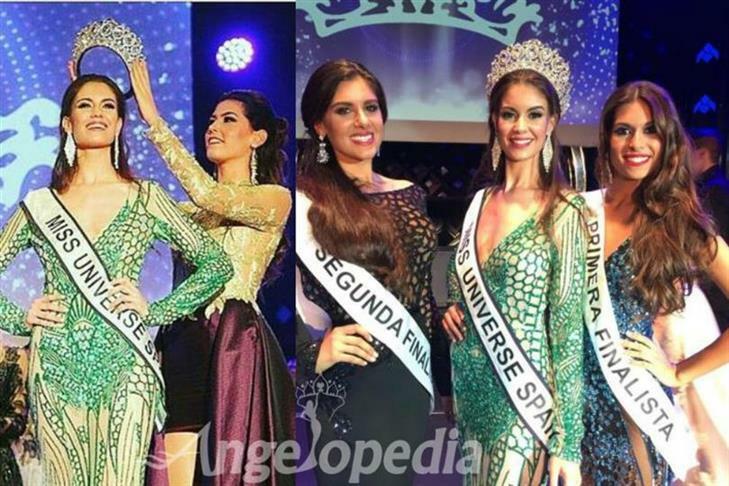 Miss Universe Spain 2015 title went to 25 years old Carla García Barber during the magnificent finale of Miss Universe Spain 2015 which was held in Marbella during the Festival Starlite de la Costa del Sol held on July 30’ 2015. Carla went on to represent Spain at the Miss Universe 2015 pageant. The splendid finale of Miss Universe Spain 2016 concluded with the crowning of Noelia Freire Benito as the winner. Noelia succeeds Miss Universe Spain 2015 Carla Barber Garcia, and she represented the country at the Miss Universe 2016 pageant on 30th January 2017 in Philippines.